Sunrise Edition. 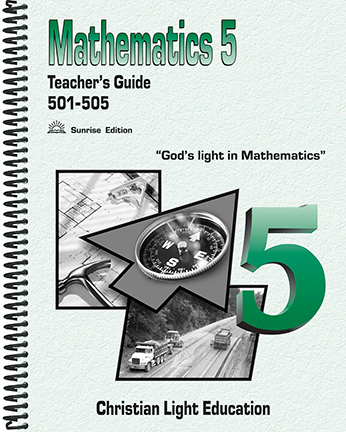 This Teacher's Guide for the first half of the course includes reproductions of each LightUnit with answers & solutions, teacher's notes, useful appendices, and alternate tests. Item: T73055 Size: 8.25 x 11 Binding: Spiral-bound Publisher: Christian Light Publications, Inc.